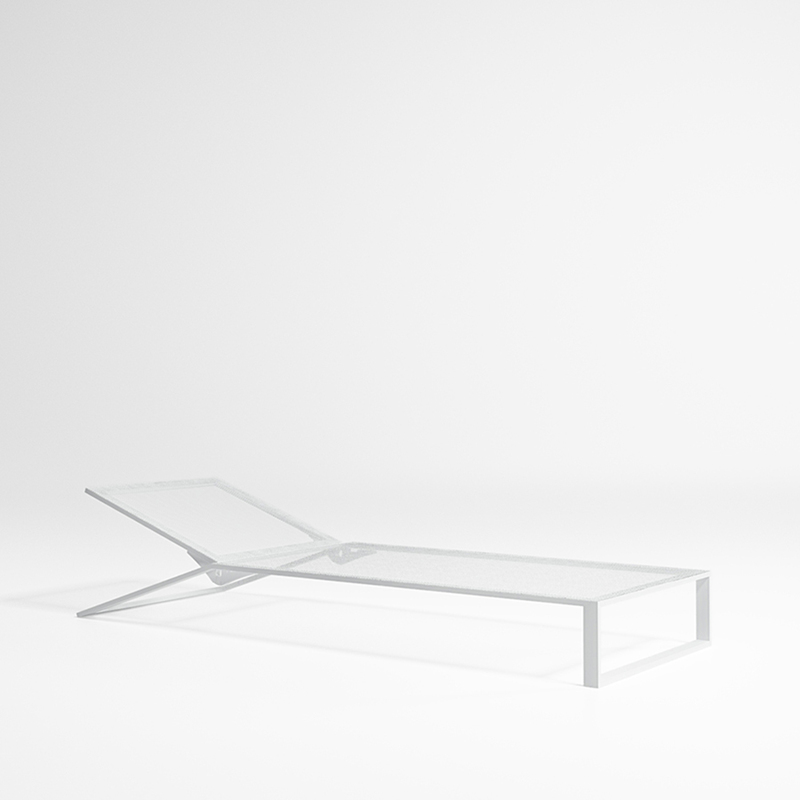 The Blau collection seeks to develop the tradition of outdoor furniture, linking with the Mediterranean architecture and way of inhabiting. An innovated tradition, made with a construction system stem based on the assembly of extruded aluminium sections. Only a single type of knot isused that fixes all the joints of the different pieces of the collection and which hides the pins that fix the sections. All the pieces are made using this growth system. Blau is a family of objects that have an additional quality that is difficult to specify, which refers to the value of the pieces as objects, with the value of them being contemplated. 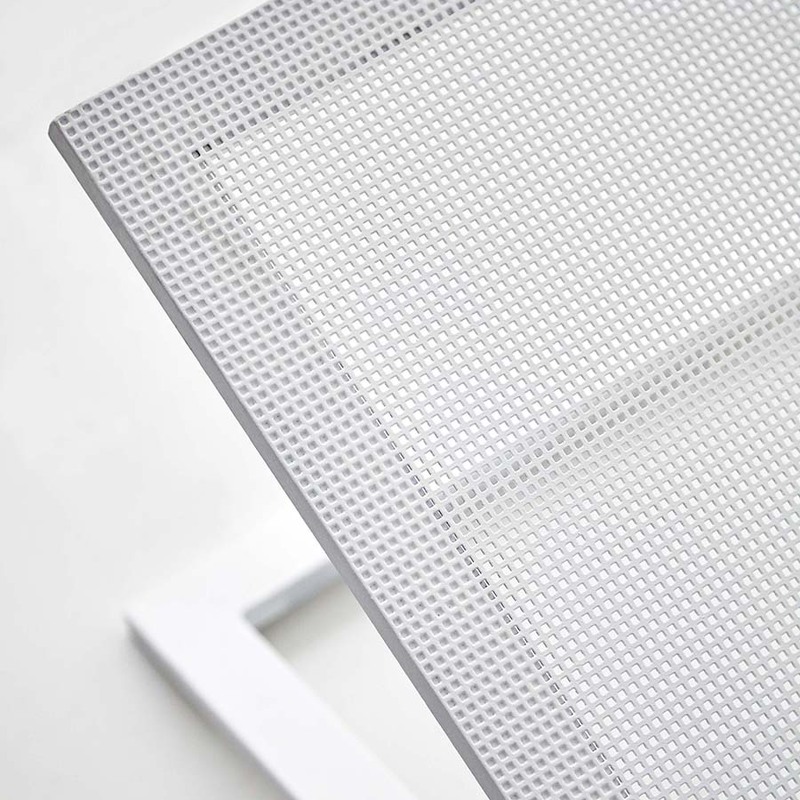 Made of powder coated aluminum and powder coated micro-perforated aluminum sheet in white, sand, bronze or anthracite. Polyurethane foam rubber covered with waterrepellent fabric.